IP finance: Patent Litigation Funding: What About the Underfunded Defendant? Patent Litigation Funding: What About the Underfunded Defendant? 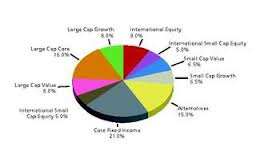 One of the oft-used terms in discussing investments is "asset class". Stocks are one asset class, bonds are another. Beyond these two obvious candidates, the challenges of today's investment climate have enhanced the discussion on such other classes as foreign currency, commodities and gold. And then there is patent litigation. As described in the introductory précis to the article by Jack Ellis, "Patent litigation as an asset class" (Intellectual Asset Management, November-December 2012), "[a]s the litigation finance industry grows in prominence, funders and their investors are increasingly turning their attention to patents". The thrust of the article is that "many small and medium-sized enterprises (SMEs) find themselves between the devil and the deep blue sea when they believe that their patents are being infringed." Thus, if the infringer is a well-heeled competitor with past experience in patent litigation, the SME may simply threw up its hands and allow the infringement to continue to take place. Alternatively, the SME can seek to find a partner to challenge the infringer. However, the price is often that the partner demands ownership of the patent, a problematic step when the patent is central to the SME's activities. If the patentee deems either of these two outcomes to be too high a price to pay, there is yet another option -- litigation finance. Whether the patentee's motivation is simply a shortage of cash to fund the litigation on its own, or a wish to spend free company cash on something else within the company (e.g., R&D), an increasing number of finance companies are prepared to fund the litigation. The ultimate goal is not an charitable exercise. As the article bluntly notes, "[c]learly, the main attraction of litigation investment is the possibility of big returns", apparently from 20%-50% of the damage award, if any. As well, there may also be the possibility of earning a revenue stream from the continuing payment of royalties. Unlike funding the outright purchase of a patent, or portfolio of patents, where there may be large front-end outlays without any good sense of the litigation value of the patents, patent litigation funding allows the funder to provide sums on a rolling basis, gaining better control of the outlays in respect of actual litigation. Stated otherwise in the article, this type of funding and the potential rewards from such funding represent a new asset class, described in the article covering "a quality and calibre of IP that is unprecedented -- some of the most valuable patents there are," according to Louden Owen, the chair of i4i, which relied on such funding in its successful suit against Microsoft. The article devotes some discussion to the question of whether such patent litigation funding is a good or bad thing for patent litigation and the patent system, especially in light of the already existing contingency fee arrangements. All of this discussion overlooks a fundamental question, however: what about the under-resourced potential patent litigation defendant? For every SME that I encounter that agonizes about where to find the necessary funds to pursue litigation, I encounter an under-resourced SME that is at the receiving end of a filed or threatened infringement action. After all, every patent litigation case has both a plaintiff and a defendant. What about the interests of the actual or potential defendant? After all, no one seems to treat such an SME in terms of an asset class. Where does such a defendant obtain the funds to defend an action, especially where the SME is convinced that it has committed no infringement of the patent at issue? Even if no material patent litigation funding may be required by the plaintiff in such a situation, the result is still that there is a structural asymmetry between the position of the plaintiff and defendant, whereby a non-infringing defendant may still find itself unnecessarily settling the dispute, or more. For those who live and breathe the search for the next best asset class, the defendant's funding problem is not theirs. Fair enough -- but then, whose problem is it exactly? And is the public interest in maintaining a patent system being well-served by the funding asymmetry? Or no matter -- after all, the funding of patent litigation "is such a great asset class". Bob Knock, FirstAssist Legal Protection:- Patent litigation can no doubt be viewed as an asset class by litigation funders or those seeking to purchase a portfolio of patents with a view to litigating. Don’t those developing inventions and prosecuting patents and the institutions lending to them, appreciate the significance of the patent, or for that matter other intellectual property rights, as the asset? IPRs could be viewed as an option to exercise a monopoly over an invention where risk exposure can be altered by the level of investment in say marketing or further development. An IPR also provides the very important option of being able to litigate, provided certain conditions occur. Traditionally insurance protects assets. However, insurance policies can be purchased, for an annual premium, which allow SMEs to litigate, without the need to find a partner willing to fund litigation in return for a share of the damages and future revenue streams. As these policies empower SMEs to exercise more options, can they increase the overall value of the SME? It makes a lot of sense for litigation funding to expand to the defense side of the legal world eventually. A person's defense many times depends on whether they have the money and with patent litigation, things can get expensive very quickly. The system would work if loser pays is enacted all over the country. There would have to be stronger protections against fraudulent claims, but there is need for litigation funding on that side.